Matt Atkinson is a Colorado-based painter, writer and educator whose artwork work is collected throughout North America and Europe. He has a degree in Studio Art from the University of Tennessee. 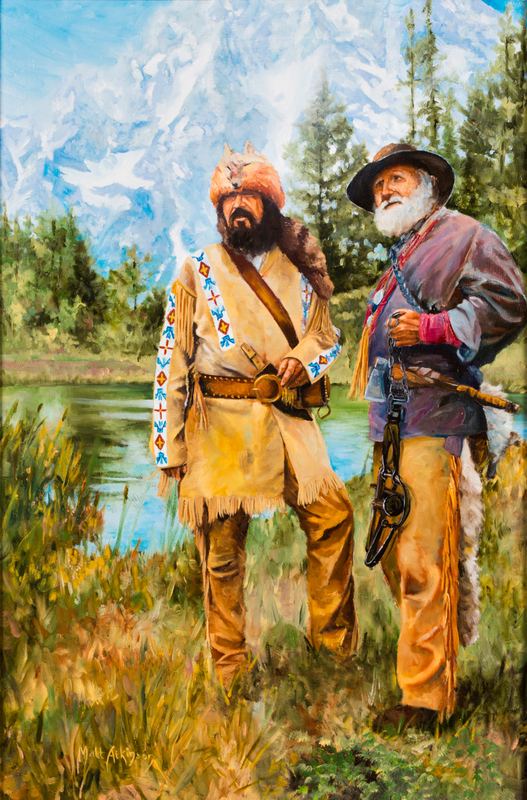 His traditional realist paintings portray the American west. From days gone by to the present, Matt is most interested in the images of men and women who preserve western heritage. From old time saddle-makers to master violin carvers, to Native American elders and warriors (both living and historical), his work honors the preservation of culture. Matt combines traditional paints with earth pigments made by hand, using natural non‐toxic colors collected from minerals and soils throughout the world. These are the same pigments that ancient artists once used to paint cave walls, and to make Native American face paint. Each painting literally has nature within it, which is his response to something beautiful in the world. In every painting, Matt uses the brushes and paints that he inherited from his grandmother, a wise and compassionate elder. The brushes in the vase beside her easel still had paint on them when she passed away. Using them on every canvas connects Atkinson's art with that heritage. "I use art to express respectful, reverent, and positive relationships between humankind and the natural, wild world." Matt's work is collected from Texas to Colorado, New Mexico to Oklahoma, where he has also been featured and won awards in various exhibitions. He is a member of the Oil Painters of America, American Plains Artists, and Western Artists Association.